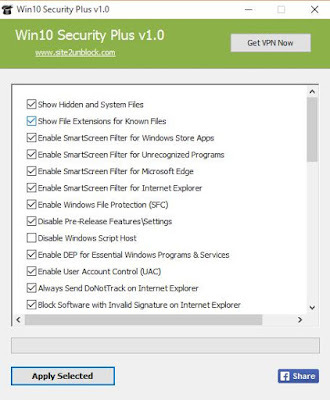 Security of Windows can be enhanced by two of it free software, The Wizard and Win 10 Privacy. This two software focus more on security. With the help of these software you can modify almost all settings of your Windows 10 Operating System related to its security. You can do this with Windows 10 Security Plus. This software also comes free of cost. 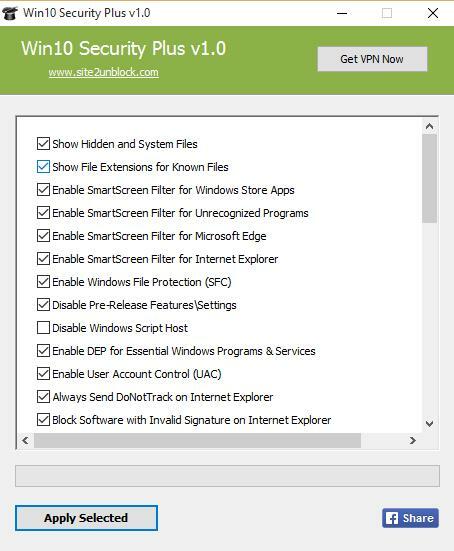 This application Designed to enhance security of Windows 10. This software comes in a portable format of 32-bit and 4-bit formats. This software is compatible with Windows 10/8/7 vista. This application enables important security services, disables vulnerable system features (such as autorun.inf, NTVDM executions, Windows host script), etc. You may like How to Reset yourAccount Settings in Windows 10.